The book abounds with information This is not limited to the French, but also their allies and enemies. The book is filled with illustrations to accompany the text. These are extremely helpful for we dolts to follow the sometimes intricate maneuvers. The book also has a large amount of tables in it. These range from musket accuracy to the different armies' marching speed, and the rate of fire of artillery. Most board wargamers are a bit oblivious to the information in this book, even if we can name all of the battles Napoleon fought and commanded in. Almost all of our games already have this information calculated for us. Not so for our table top brethren. To them this book should become their bible. If not that, at least it will give them a lifetime of arguments over their beautiful reproductions of battles. 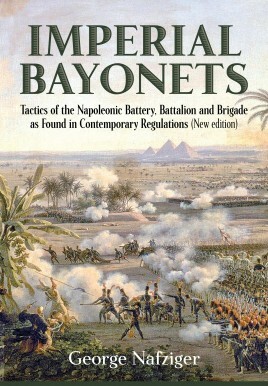 The information in this book is invaluable to anyone who wants to try and understand battle during the Napoleonic age. More than that, it is a reference material for wargamers and designers of those also.